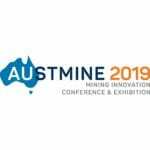 Themed Mining Innovation: The Next Horizon, preparations for this year’s Austmine 2019 conference are now in full swing with the must-attend event just a few short months away. This year’s event will be staged at the Brisbane Convention and Exhibition Centre from May 21–23, and those wishing to attend are being encouraged to register now to take advantage of the early bird rate currently on offer to avoid disappointment. “Nobody is as sharply focussed on innovation as we are,” Gibbs Stewart said. Designed specifically for mining companies, the mining sector, and the mining equipment, technology and services (METS) sectors, the conference brings together industry leaders, alongside market innovators, academics and senior government officials, at workshops, presentations, case studies, networking opportunities and more. “The level of engagement and interaction possible is what sets our conference apart. 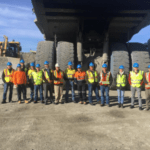 “With all the challenges facing the mining industry right now, and the digital disruption that we are facing, there are a lot of questions out there, about how we leverage the technology, what’s next and how we manage the skills. “Austmine 2019 will address those issues by starting the conversations and setting the agenda for ongoing discussions beyond our sessions and into the everyday,” Gibbs Stewart said. 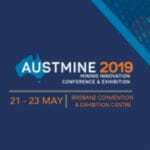 The three-day Austmine 2019 program will open with workshops on 21 May, with the conference then running in parallel to the exhibition on May 22–23. The networking highlight of the event will be the sixth Austmine Industry Leader’s Dinner and Awards, which will take place on the evening of May 22. 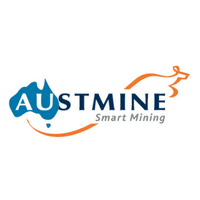 Austmine 2019 has a great line-up of international speakers for its focus on mining innovation. Confirmed are Mike Wundenberg (vice president operational technology and innovation, Newmont), Marco Orellana (chief innovation officer, Codelco), Rob Labbé (director of information security, Teck Resources), Barry Fitzgerald (CEO, Roy Hill Holdings), Rafael Estrada (chief innovation officer and manager of information systems, telecommunications and process control, Antamina Mining), Ivan Mallany (senior VP technical services, Goldcorp), John Welborn (managing director and chief executive officer, Resolute Mining), and Frans Knox (head of production, BMA Coal, BHP). “We are thrilled to have so many of the world’s premiere thought leaders around innovation confirmed to attend. The presence of so many international speakers is an indication of the interest they have in what’s happening in Australia and that they consider Australia instrumental in leading the way when it comes to new innovations and technologies,” Gibbs Stewart said. 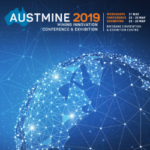 Austmine 2019 topics to be examined will include the next generation of intelligent equipment, such as the likes of autonomous vehicles, sensors, drilling and artificial intelligence (AI). Empowering creative thinking in the workplace will be looked at too, as will the use of analytics and data-driven efficiencies, such as the connectivity and integration opportunities through digital streamlining. Finally, the conference will also look at how new technologies will shape the sustainability of the industry moving forward.